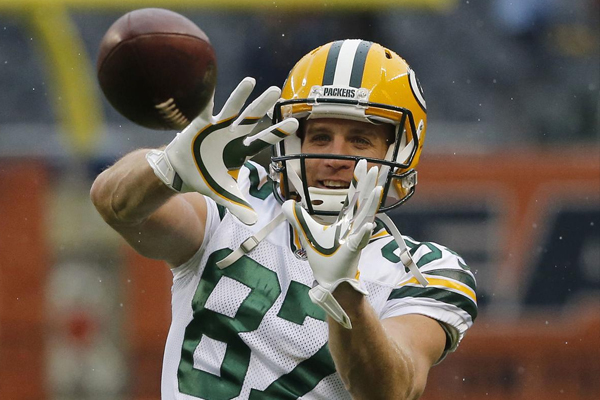 Green Bay Packers’ wide receiver Jordy Nelson is retiring from the NFL. A #Packers legend. @JordyRNelson is calling it a career after 10 NFL seasons. Nelson spent 10 seasons with the Packers and one with the Oakland Raiders. His time last season with the Raiders is mostly forgettable, as he totaled 63 catches for 739 yards and three touchdowns in 15 games. But Nelson will forever be remembered for teaming with quarterback Aaron Rodgers. Nelson ranks third in Packers history with 550 receptions, fifth with 7,848 receiving yards, and second with 69 touchdowns. He made the Pro Bowl in 2014 and helped his team capture Super Bowl XLV. Nelson also was recognized as the NFL Comeback Player of the Year in 2016 after returning from a torn ACL to produce 97 catches for 1,257 yards and a career-high 14 touchdowns. The 33-year-old finishes his career appearing in 151 games, totaling 613 catches for 8,587 yards and 72 touchdowns.